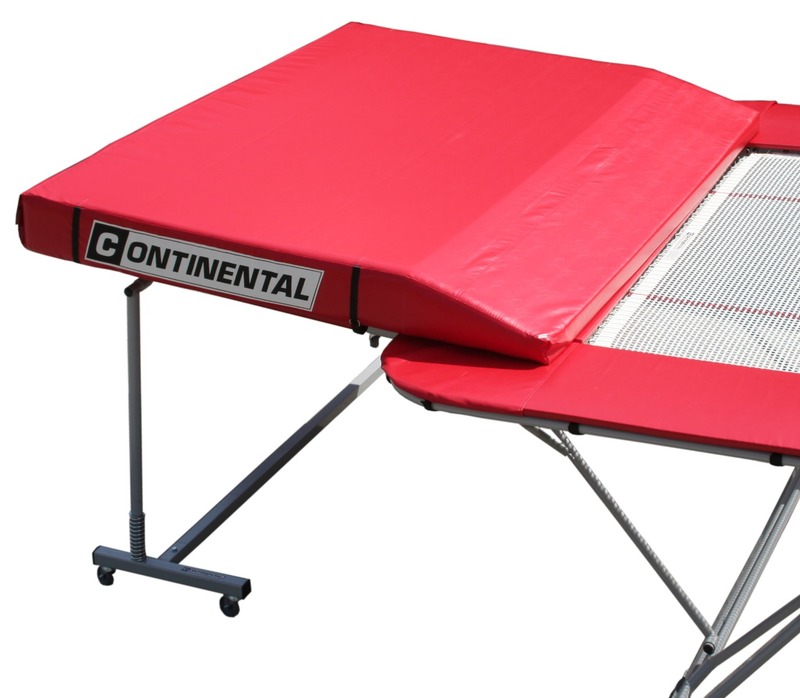 99 series club model trampoline. This trampoline is exactly the same size as a competition trampoline as specified by the FIG, the governing body of trampolining. Frame size: 5.2m x 3.05m x 1.15m. Folded size: 3.05m x 2.2m x 0.8m. Safety coaching sides. These are extension pieces to the trampoline framework running the length of the trampoline on both sides. 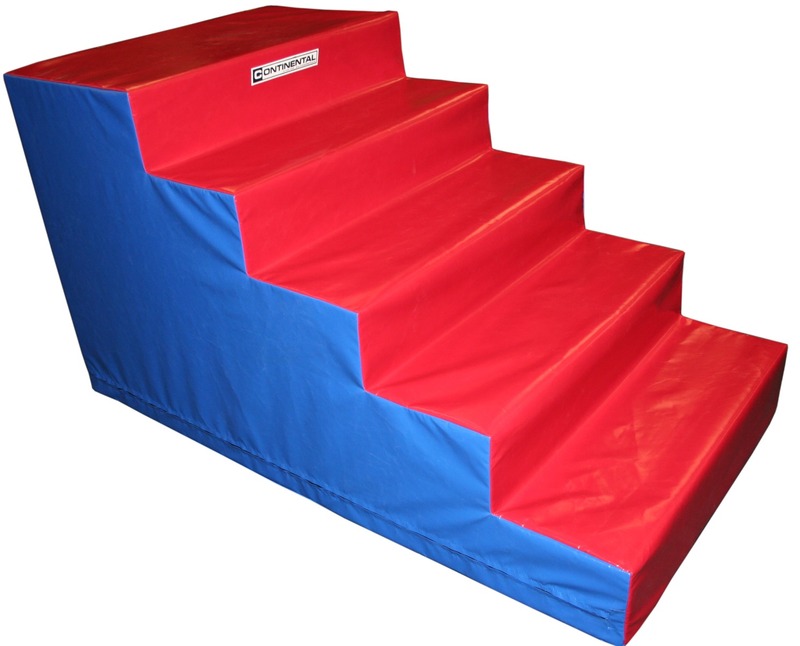 These, along with extra width coverall pads provide an area where a coach can stand to coach the gymnast without affecting the performance of the trampoline. Some coaches prefer to coach in this manner, whilst others prefer to coach from the side of the trampoline - the decision to specify or not to specify coaching sides is down to personal preference of your coaching staff. PLEASE NOTE: if you specify coaching sides, you cannot specify hydraulically operated Safelift roller stands as these items are incompatible. 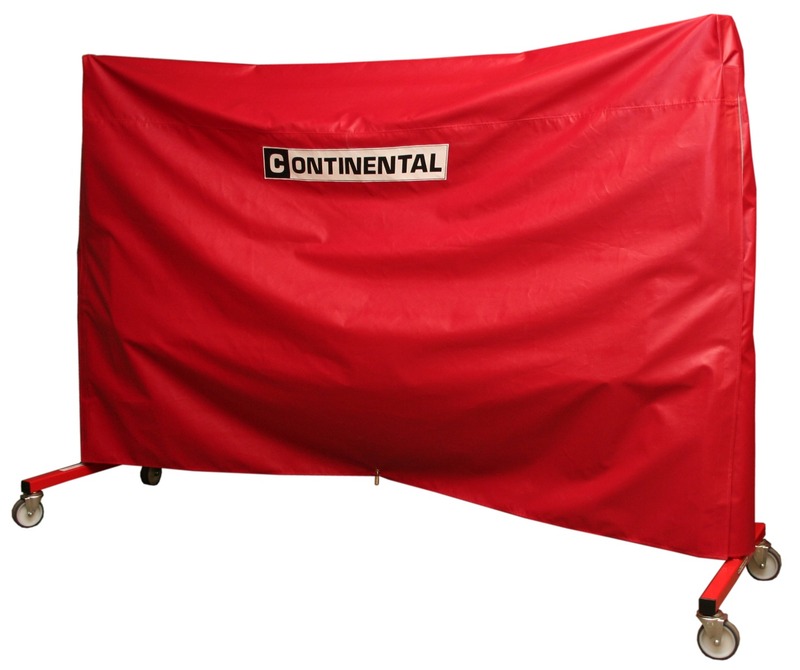 We supply our trampolines with RED coverall pads as standard. If you want blue pads we offer those as a no cost option. Please specify in the notes to your order if you want blue pads.